A lot of people don’t realize it but racking up miles and points is actually the easiest part of traveling hacking. I’ve probably earned 2-3 million points over the past five years through credit card sign-up bonuses but spending all those points is a completely different story. This is pretty counter-intuitive to real life since it’s always easier to spend cash than it is to accumulate it. But if you’re in this hobby for the love of traveling, you will discover that there is no shortage of great destinations you can travel to for next to nothing. Problems arise though when you try to use miles/points to get to a specific destination during a specific time of the year. It helps if you can travel off-peak but flexibility really is the name of the game. And if you’re open to the experience, that is when you can really start to benefit from traveling with miles and points. So that’s pretty much how this trip to Ireland arose. My wife and I both wanted to visit our friends in Boston and once I did some research, I remembered about the famed Boston to Dublin route on Aer Lingus (using BA Avios points). BA uses a distance based award chart which means that any flight that is 2,000-3,000 miles will be 25,000 points round-trip in economy. 25,000 points for a RT economy ticket on a 2,000 mile flight is a pretty good deal but if you map Boston to Dublin, it actually comes in at 2,998 miles. Thus, making it one of my self-proclaimed best deals in all of travel hacking. 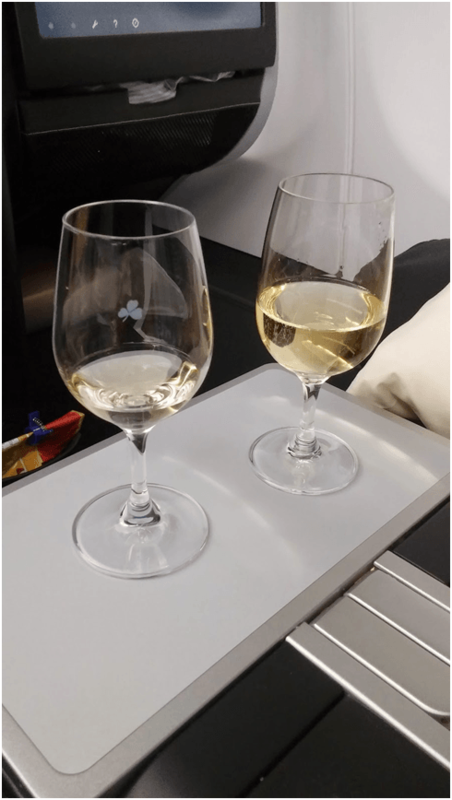 What made this flight even sweeter though was that Aer Lingus released a bunch of business class availability about a month before our flight. 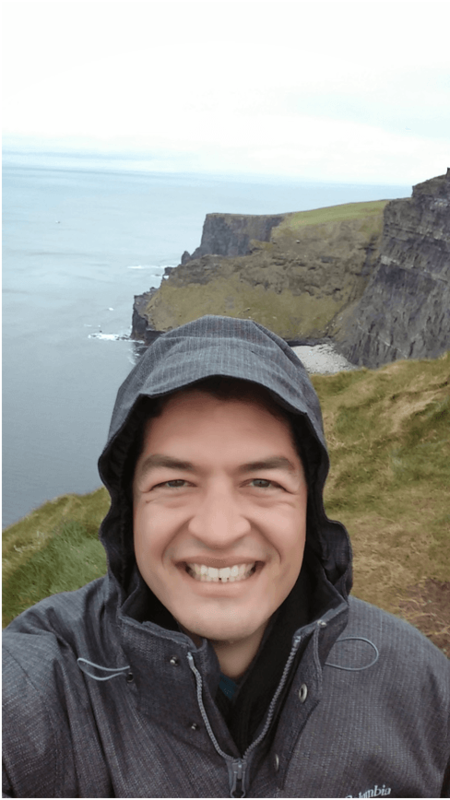 I was able to upgrade our outbound flight from Boston to Dublin to business class for just 12,500 points extra per person. This was insanely fortuitous because we would now be traveling on a $2,700 flight (one way cost) for only 25,000 points each! Oh and just to put the cherry on top, I had actually just taken advantage of an Amex to BA 40% transfer bonus and transferred 36,000 Amex points which became 50,400 BA points. So two one way business class seats ($5,400) from Boston to Dublin cost only 36,000 Amex points. That’s a value of 15 cents per point! Our flight left Boston on a Tuesday evening and would arrive in Dublin bright and early at 8 am on Wednesday. The flight time was just over 6 hours and it was on a freshly remodeled A330. We didn’t have time to check out the Aer Lingus lounge at BOS but it didn’t have the best reviews so no biggie. 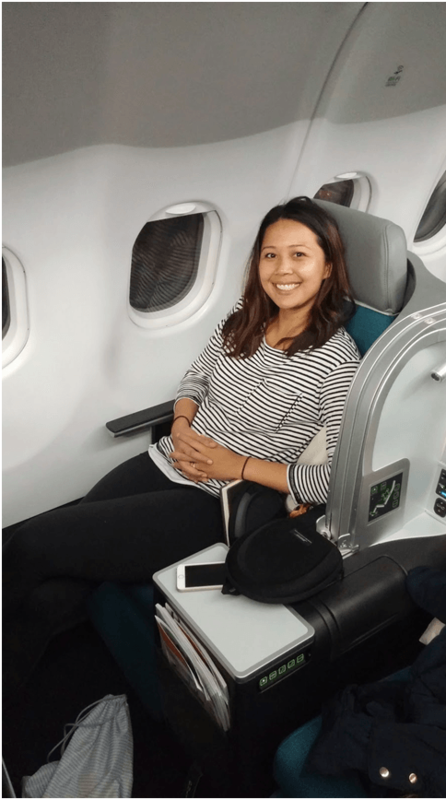 Aer Lingus recently upgraded their business class product and it was a fully lie flat seat that would fit someone up to 6’ 5”! 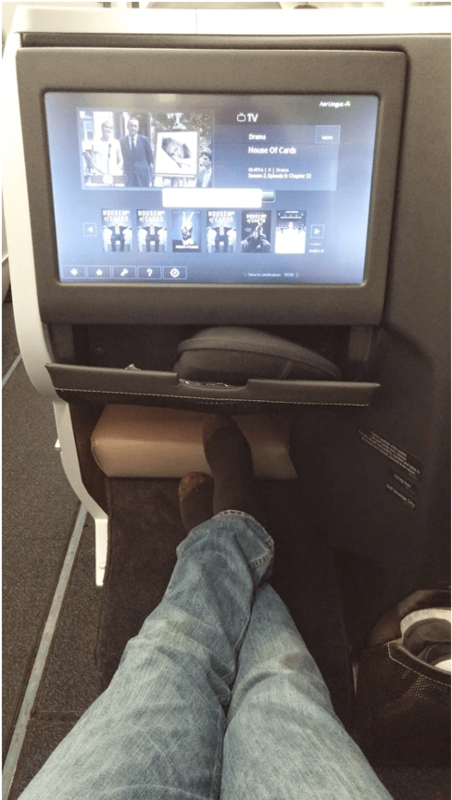 I rarely pay points for domestic business/first class but on international routes/carriers, business class can be a great experience. It actually makes you want to fly as long as you’re not paying $3,000 for the J ticket. After take-off, we were served a nice Irish dinner (I got steak, my wife got seafood mac n cheese – the food was good but not great) and after a few glasses of wine and a movie, I settled down for the night. I got a few hours of very comfortable sleep (easy to sleep on a plane when you can lie flat) and before we arrived, they served a very delicious Irish breakfast. I like that all of the meals were Irish inspired since it gave us a little taste of the place we were about to visit. When we arrived in Dublin, we actually headed to the Aer Lingus arrival lounge and took a shower and had a bite to eat. We were the only business class passengers to take advantage of this amenity and it was a pretty awesome experience. Even though the flight wasn’t that long, it felt great to take a hot shower and freshen up before heading to our hotel. We took the public bus (7 Euros a piece) to the hotel and it was a nice experience since it was a nice new double decker with wifi (it comes every 15 minutes). But looking back, it probably would have been better to take a taxi due to the circuitous route the bus takes that causes you to sit in lots of traffic. So if there’s traffic, take a taxi, but if not, the bus is a good option if you want to save a few Euros. 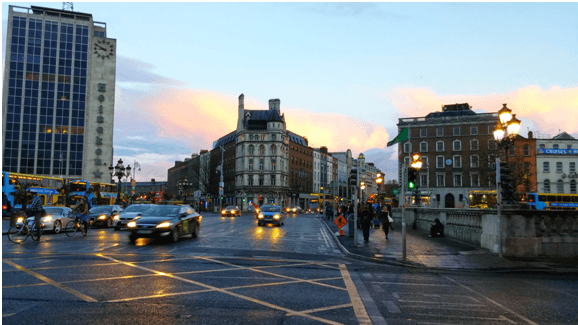 I’d never been to Dublin before but I booked a room for two nights at the Westin Dublin because it was in a great location right near Trinity College and Temple Bar. The hotel itself was pretty nice although if I was paying cash, I would have opted for Airbnb or a more budget-friendly hotel. It really was a great location though! The room cost us 12,000 points per night, included free wi-fi and there were no other fees/taxes. Starwood has some pretty luxurious properties in Europe and while I would never pay for them out of pocket, it’s nice to be able to stay in $300-$500 rooms for zero dollars. Our room was ready when we arrived at 10 am so we dropped off our stuff and started walking around. Whenever I red-eye, I like to get a move on early and site-see for a few hours, grab lunch and then head back to the hotel for a couple hour nap. Even though you’re usually tired when you arrive, it’s pretty easy to get the adrenaline pumping once you’re out walking around and exploring a new city for the first time and it helps you adjust to the time change a bit quicker. 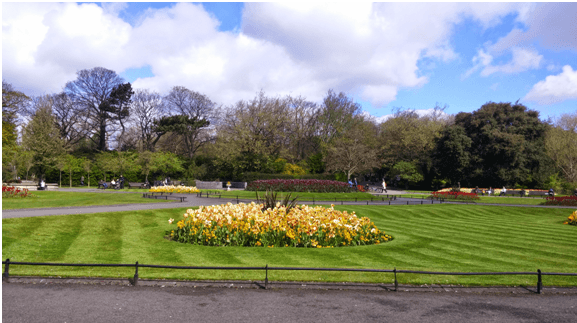 On that first day, we walked around Trinity college and found a couple really beautiful parks: Merrion’s Square and St. Stephen’s Green. 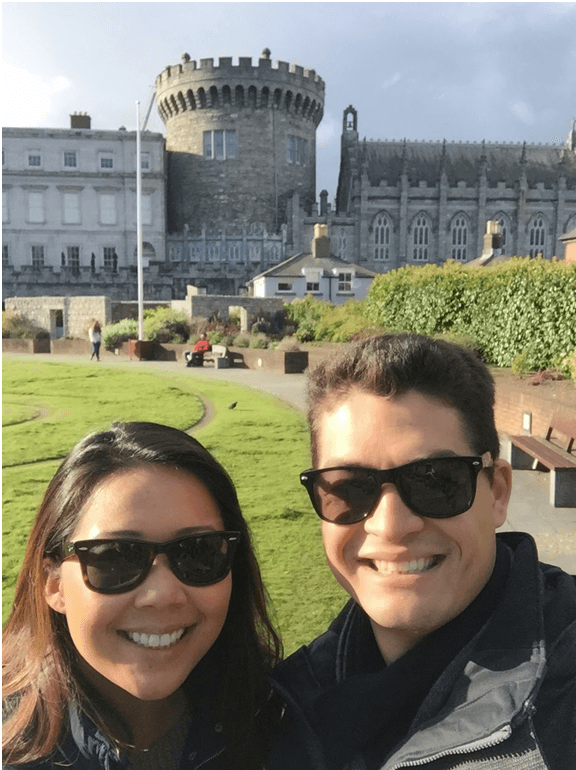 We pretty much wandered around Dublin for the rest of the day, stopping at Dublin Castle, Christ Church, River Liffey and the Temple Bar area. Dublin is actually a very walkable city and from our hotel which sat at one end, to the other, was only about 20-25 minutes. Strangely, there are close to 15,000 taxis but we mainly got around on foot. Many people don’t know this but whenever we travel, food is usually at the top of our priority list. We both love to eat and one of the best parts about traveling in my mind is experiencing different cultures and new foods! Ireland isn’t exactly known for its food but by the end of the trip, we were beyond impressed. Traditional Irish food consists of things like lamb/beef/sausage stew, (Canadian) Bacon, fish and chips, mussels, salmon, etc. But what I noticed while we were there is that a lot of the best meals we had were Irish food but with a twist. I would compare it to the hipster bar food revelation that’s been happening in America over the past few years with fancy bar food, fusion, etc (on Yelp they call it American (new)). In Ireland, we had plenty of traditional food but the best meals always involved a little twist or some type of fusion with other cultures. In the past, I’ve used TripAdvisor exclusively to stake out new spots to eat but I was never in love with their real-time search functions. Yelp does it so much better and luckily it was available in Ireland. There weren’t reviews for every place on Yelp but in Dublin we got almost all of our food recommendations from there. I still haven’t quite figured out why Yelp exists for some cities (ie Dublin) in Europe but not others (ie Rome) so someone please enlighten me. That night, my wife actually found us a great place to eat called The Boxty House. In true Irish fashion, I had a glass of Tullamore 12 year old whiskey and a beer (they didn’t have Guinness!) and we shared an appetizer. My wife ordered a trio of stews: lamb, beef & Guinness (wait, apparently they did have it?) and sausage. And I ordered a gnocchi pasta with mussels and salmon in a lemon cream sauce. My meal and this restaurant in general ended up in our top five restaurants by the end of the trip! The stews were good but I think the variety of three different kinds was what we liked the most about it. They also served a couple varieties of Irish soda bread that were hearty but very tasty. My pasta was the highlight of the meal though and the sauce was perfect – not too heavy but full of flavor. There were only a few mussels (I would have liked more) but there were these huge chunks of grilled salmon bites that were super tasty. For dessert, we actually got a bread pudding that was also very good. Like I said, we know how to eat when we travel and our first real meal of the trip was a smashing hit. We walked around for a bit as the sun was setting and then retired for the evening. Even though we were right next to the raucous Temple Bar area, that meal and the jet lag had pretty much put us over the top for the night. Dublin is actually only 5 hours ahead of Boston so it was pretty easy to get adjusted and on Day 2 we were ready to do some sightseeing. We started off by taking a bus to Glasnevin cemetery, which is home to 1.5 million graves and many Irish historical legends are buried there. The tour was pretty extensive but it had a little too much history for me. I would recommend stopping by the museum, just walking around the area on your own, and then heading over to the Arboretum. Taxis are quite ubiquitous in Dublin and even though they have Uber, it’s quite expensive to get around via either method. Getting around the city was actually pretty easy with the buses as I just pulled up Google Maps, mapped our destination, selected public transportation and it showed all the bus routes/times that would get us to our destination. Our next stop was the famous Jameson Distillery where we did a cool tour of their original factory and then got to do some sampling at the end. You also get a free drink at the end of the tour. 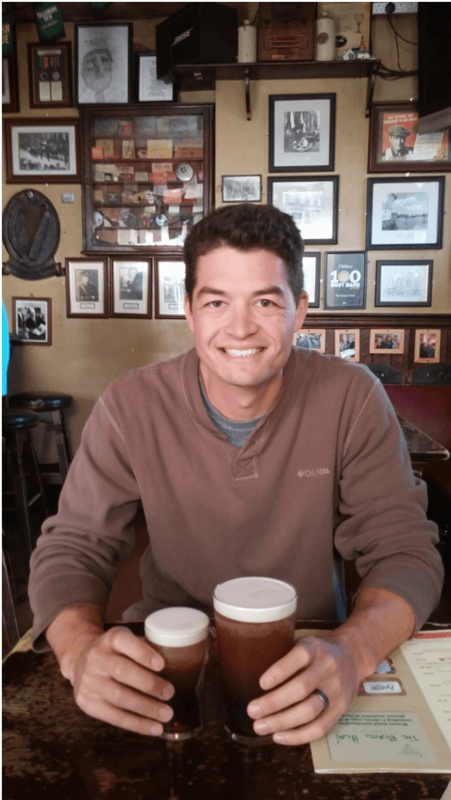 After whiskey tasting, we stopped by the oldest pub in Dublin to grab a quick lunch and have a beer. My wife got the fish and chips and I got the mussels – both were good, and good examples of nice traditional Irish meals. Our last stop was the Guinness storehouse and this ended up being one of my favorite sites in Dublin. I read mixed reviews online about it but I thoroughly enjoyed it. It’s a self-guided tour that spans 7 floors and is part museum, part Disneyland, part bar. No doubt, the best part about the tour is enjoying a Guinness at the Gravity bar which sits on the top floor and has a 360 degree view of Dublin. I would probably have paid the full ticket price just for the beer and view so the tour is a nice addition. After a long nap (guess we were still a bit jet-lagged), we got Thai food and walked around the Temple Bar area. We didn’t really go ‘out’ much but it does get pretty wild there pretty much any night of the week. How Many Days in Dublin? 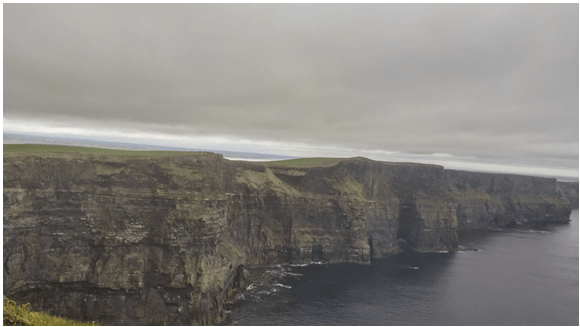 I did a lot of research trying to figure out where to go in Ireland and for how many days. Unfortunately, we were limited to flights in/out of Dublin but I know that many travelers like to fly in to Dublin and out of Shannon or vice versa. But if you are strapped for time, I would say that you could easily see many of the top sites in Dublin in 3 days/2 nights. I think this really goes for any city to be honest though. It usually only takes 2 days to see most of the top tourist sites and from there it’s really up to you to find more stuff to do. We could have easily stayed another couple nights in Dublin and found plenty of stuff to do but it takes some work/research to figure it out. It’s kind of ridiculous when I hear people say things like you only need to spend a day in Rome, Dublin or Athens. 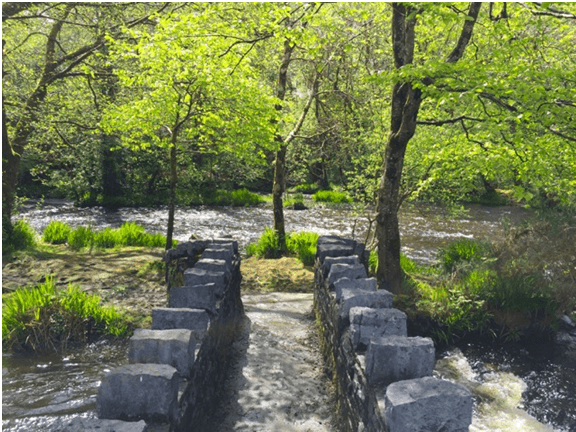 I am a bit of an iconoclast though in life, and especially when I’m travelling so I’m always looking for things to do that are off the beaten path or find sites that aren’t touristy. It’s a challenge but it’s always very rewarding. On our last day in Dublin, we had a spectacular traditional Irish breakfast at a place called Queen of Tarts. Then we headed over to Budget Rental car and picked up our Skoda! Most credit cards will cover insurance on rental cars but there are often a lot of rules and restrictions. Ireland is one of the countries that is usually on the exclusion lists for most cards that do cover rental car insurance though. Fortunately, I did some research and found out that my new United Explorer Business card is one of the few cards that will cover rental car insurance in Ireland. All I had to do was call in ahead of time and get a letter from Chase/their insurer and make sure that I waived collision coverage. Apparently, this is a very important step in order to make sure you’re covered by Chase. You still kind of get screwed by Budget because they charge all these random fees but the price still ended up only being around 35 Euros/day to rent the car. The drive to Galway was pretty smooth and the highway was in great condition. I think we made it there in 2 hours or less. 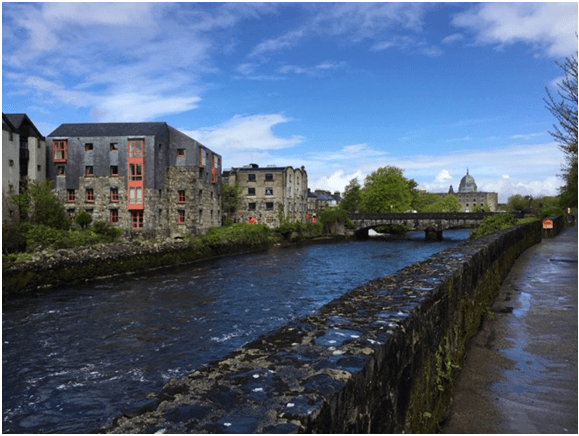 Our hotel (The Radisson Blu) was situated right in the heart of Galway (well a 5 minute walk). The room cost only 40,000 Club Carlson points and the second night was free (this benefit is no longer available on this card) so this was the main motivation for staying at this hotel. It had a bay view and was nice, but nothing special. The rooms were pretty ordinary and I would equate it to a Hilton Garden Inn in the US. I don’t even know how much it would have cost had we paid cash but I would probably opt for Airbnb to get a little better bang for your buck or a small boutique hotel in Galway. 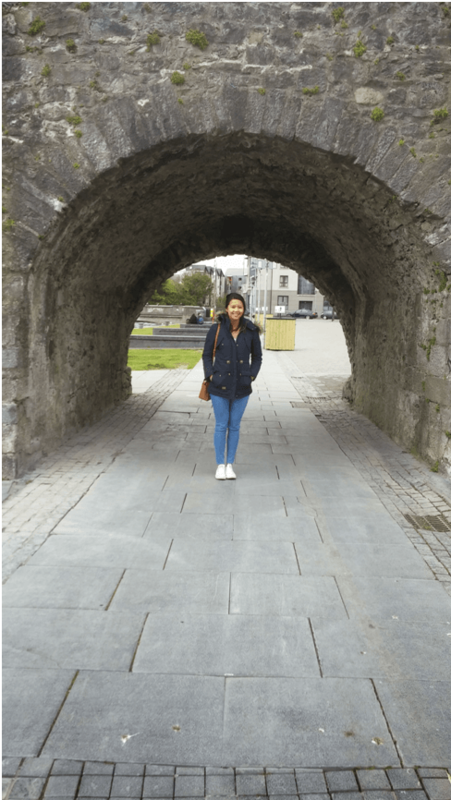 The weather was a bit gloomy when we arrived but we managed to make it out and walk around Galway. The hotel recommended we check out the Spanish arch and when we got there, we were kind of confused. Dinner that night was at a place called Quay Street Kitchen and it was fabulous. We got a mix of seafood and the lamb – both were good but the appetizers were the best part (maybe get 2-3 appetizers and only one main dish). The restaurant was also very quaint and cozy (and I think had Vegan options too) – great place to eat but there may be a short wait if you go during peak times. After dinner, we checked out TigCoili which is a famous Galway bar known for its traditional Irish music. It was a cool experience to drink Guinness while listening to an awesome 7 person Irish band in a packed bar but I’m sure there are other places where you can get a similar experience. On Day 4, we hit up the buffet at the Radisson (it was free) and it was pretty awful to say the least. But we got some food in us and headed out to the Cliffs of Moher. We were both pretty excited to see the cliffs and it ended up being my favorite part of the trip (her favorite part was staying at the castle). 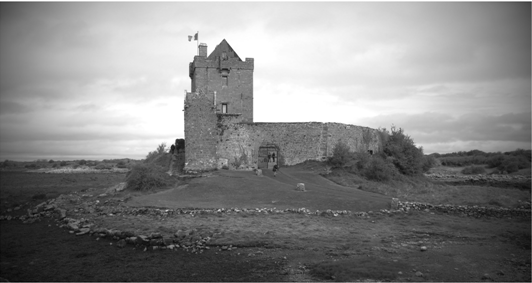 We stopped at a cool castle along the way but overall the trip was pretty quick and we made it there relatively fast. 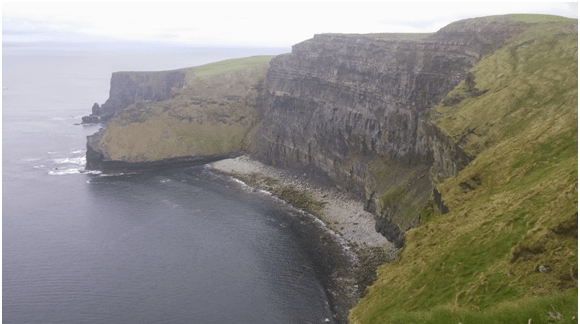 If you want to save a couple bucks on admission/parking (at the Cliffs of Moher), there is an area where you can park about a quarter mile before the Cliffs. There were several other cars there and it looked like you could actually walk towards the ocean and approach the Cliffs from a trail along the water. 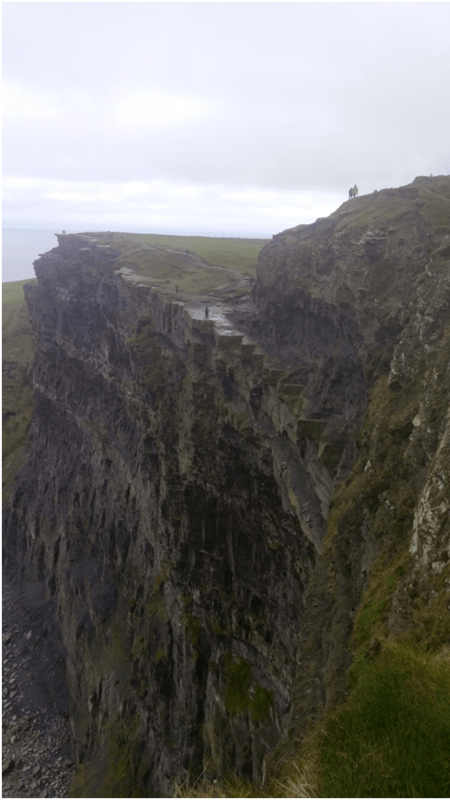 If you’re feeling really adventurous I recommend hiking to the Cliffs of Moher from Doolin. We didn’t do this but I could imagine it would be a really nice hike depending on the weather. It was damn cold when we went so bring lots of layers. After the cliffs, we stopped at a cool pub in Doolin and had a nice little Irish lunch. 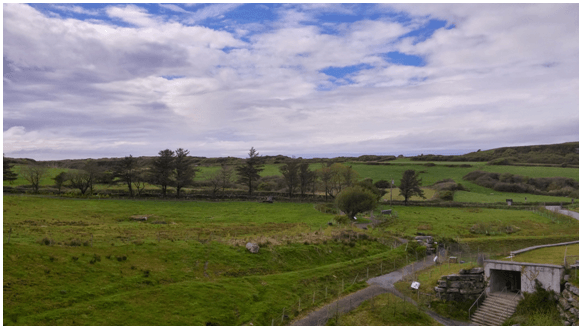 Our last stop of the day though was the Doolin stalactite that turned out to be really cool and kind of a must-see. 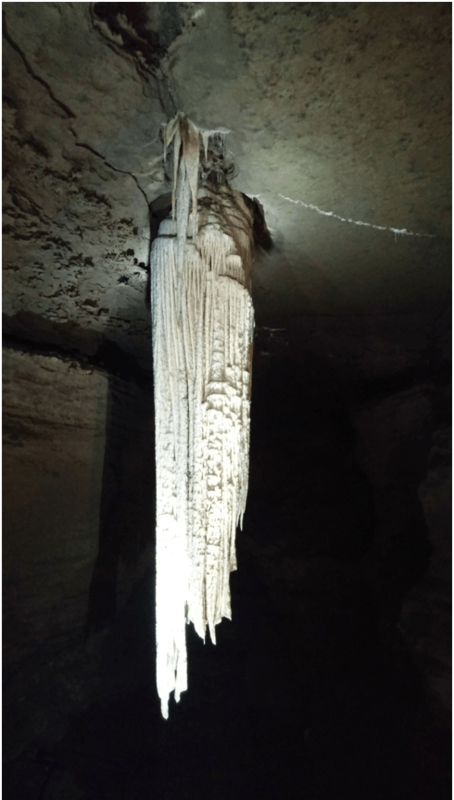 It’s a one hour tour of these caves that lead to the third largest stalactite in the world! It’s over 7 meters long! The grounds outside are also cool and you can walk around a small nature path. After we got back to Galway, we relaxed in the hotel Jacuzzi for a bit and got a casual dinner at Dutch Brothers Pizza. The pizza was really good and great for a casual meal after a full day of sight-seeing. They also had a bunch of craft bottled beer for sale. We stopped by a bar on the way home and had a drink while listening to live music but didn’t stay out too late. Dublin obviously has a great music scene but I liked the vibe a lot better in Galway. 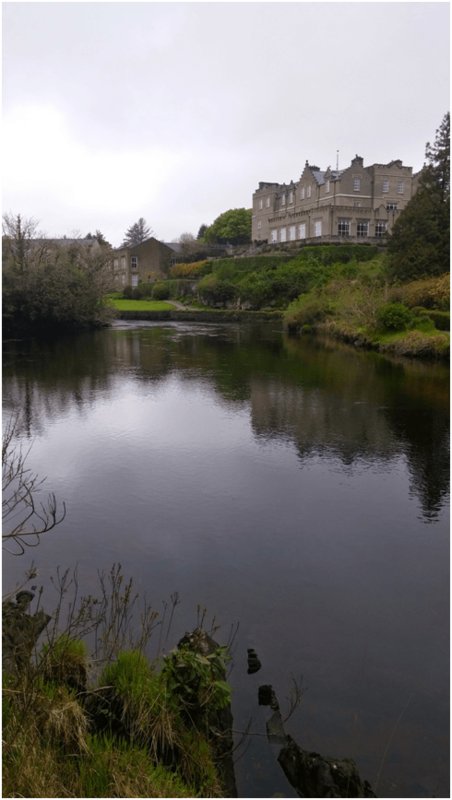 Smaller pubs, more locals, etc. We also encountered quite a few stag parties while walking around too. Before leaving Galway, we stopped off at ArdBia at Nimmos and had an amazing breakfast. I don’t even know what we got but it was amazing. It was also very reasonably priced and right next to the Spanish Arch! 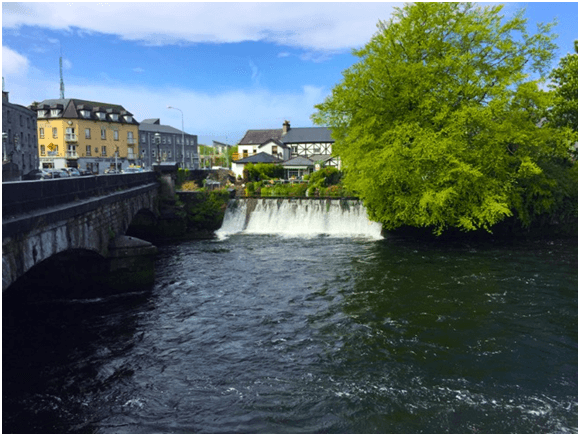 So if you make it to Galway, you need to eat here at least one day for breakfast – you may even end up coming back. It’s that good. The sun was out and about after we finished eating, so we walked around and got some great pictures. We basically re-took all of the pictures from the first day – it’s amazing how much better things look with a little sunlight. 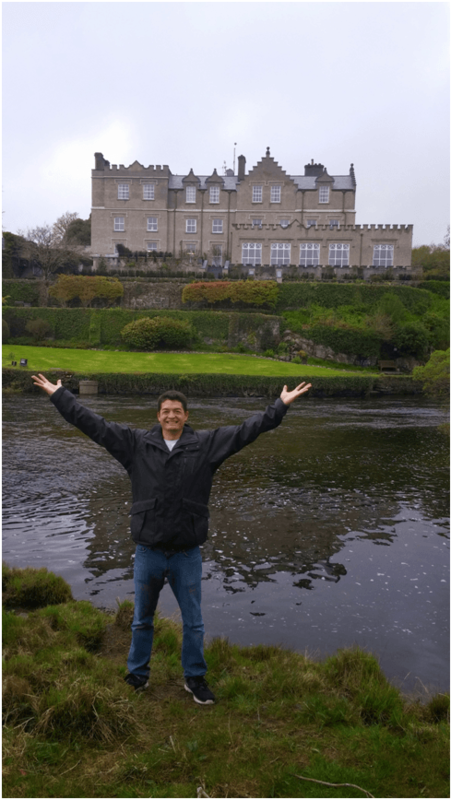 We left Galway around noon for Ballynahinch castle. 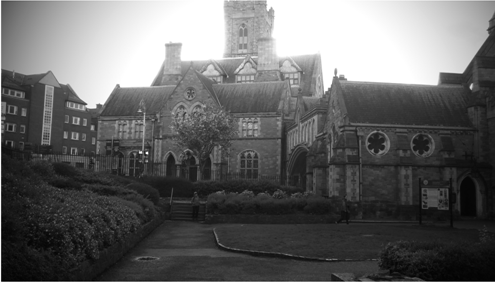 It wasn’t an actual castle but more of a manor house/castle style hotel. But it looked and felt like a pretty awesome luxury castle so I’ll just call it that. It was about an hour and a half north east of Galway but the drive was very pretty. We even found a really cool park that would have been great for a picnic if we were hungry (still full from ArdBia’s!) or even had food. I definitely recommend at least stopping here if you’re in the area. Our room wasn’t quite ready when we arrived but they did have a bunch of cool waiting/tea rooms where we sipped on tea and waited for our room to be finished. They had free tea/coffee service 24 hours a day which was actually a really nice feature. The grounds surrounding the castle were very cool too. There were miles of walking trails and lots of cool things to see. I think we would have gotten a little bored if we stayed 2-3 nights but it looks like they had a few activities you could sign up for. For 1-2 nights though, there is plenty to keep you occupied with if you like walking around, hiking, etc. Everything is open to the public too so even if you don’t end up staying here, but are in the area, I would recommend stopping by and checking things out. You can walk around the grounds and then grab some tea/food in the pub or their fine dining restaurant. For dinner, the hotel offered a 65 Euro fine dining option or dinner in the pub. We didn’t really feel like a fancy expensive dinner and since the food is from the same kitchen, we opted for the pub and it turned out to be an amazing meal! 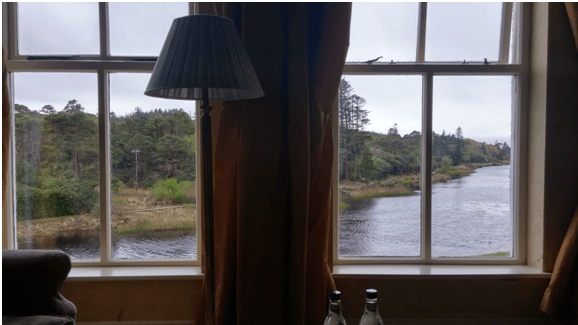 The castle wasn’t cheap so we opted for just the one night there but in the morning we got free breakfast in the dining room overlooking the river so we didn’t miss out on the views after opting for the pub the night prior (we did have a pretty similar view in our room anyways). After breakfast, we walked around a bit and again, it was amazing how much better our pictures turned out when the sun was out. My wife basically re-took all the pictures from the day prior. 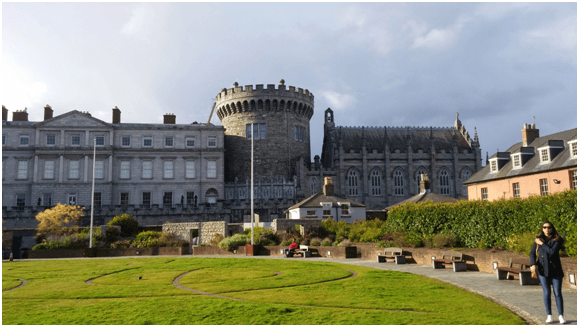 When we arrived in Dublin, we decided to head over to the KilmainhamGaol (Jail) and take a tour. This place had great reviews online but to be honest, I was a bit disappointed. It was cool to walk through the grounds and learn a little bit about the history but it wasn’t as exciting as I thought it would be. It was a little scary driving around Dublin, but I got the hang of it quickly. We dropped off the car afterwards at Budget Car Rental and took an Uber to our hotel. For our last night in Dublin, we stayed at the Intercontinental in Ballsbridge. 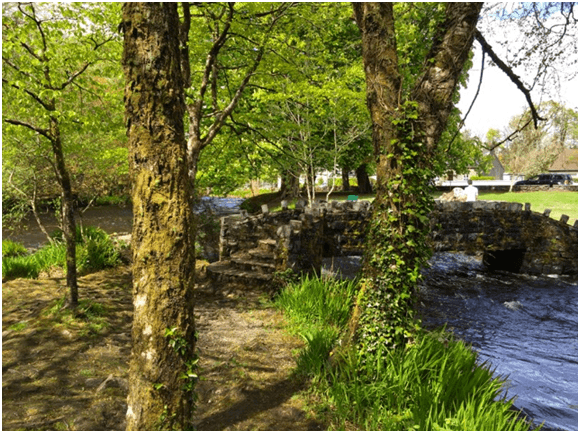 It was about a 10 minute drive southeast of the Westin/city center so a bit out of the way but I figured it would be a good choice since it was a super nice hotel and we wouldn’t want to/need to do any sightseeing since we already spent three days in Dublin. 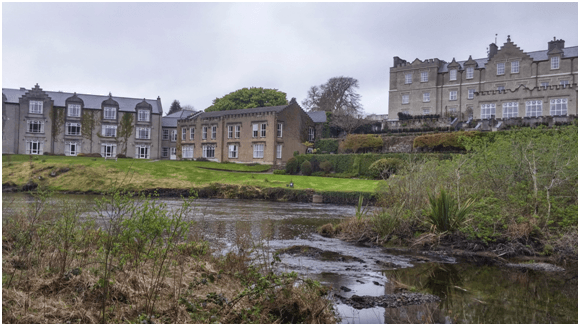 I generally don’t like having to travel day of to catch an international flight which is why we opted for one night instead of two at the castle. Otherwise, we would have had to drive back early in the morning, return the car, and then head to the airport. Basically, there’s just a lot that can go wrong and I want to avoid that if at all possible. Rooms normally go here for about $300/night but I was able to use my free night certificate from the Chase IHG card to get the room for free. That card is pretty solid since it gives you 80,000 points upon signing up and hitting the required spend AND it gives you a free night certificate on your one year anniversary. If you’re real slick, you’ll wait until the night posts and then cancel the card and re-apply 24 months after you first got it to start the cycle all over again. Since this card also comes with Platinum status (which I still have even though I cancelled the card – I think it will last until the end of the year), we were upgraded to a suite that turned out to be one of the biggest rooms we’ve ever stayed in while traveling in Europe. It had an entryway with a huge lounging area, bedroom area (all one room) and a walk-in closet and gigantic bathroom with separate tub, shower and toilet areas. 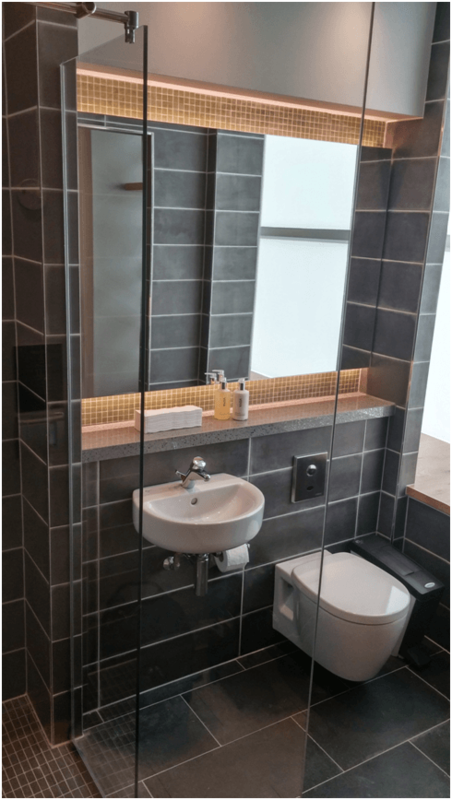 The room was kind of a mix of luxurious features and some not as luxurious features – the bathroom was beautiful and seemed recently updated but the room, while nice, wasn’t 5 star level like the bathroom. The only thing missing was a view. This room goes for around $450 so not bad for a free night certificate. The location of the hotel wasn’t great seeing as it was a 10 minute drive from the city center of Dublin but since we didn’t really care about sight-seeing, it worked out great for us. 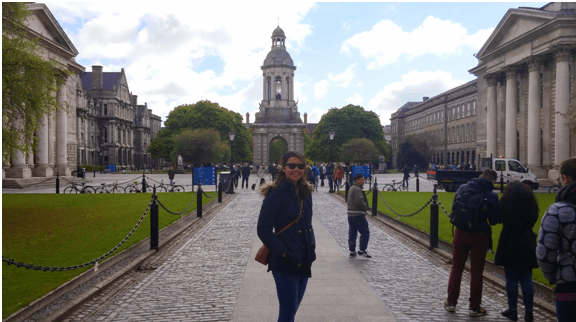 We walked around Ballsbridge, bought some whiskey as gifts (and one for myself of course –Tullamore), had one final Guinness at a pub and headed back to the room. The highlight of this night though was our dinner. On our second night, I had tried to make a reservation at a place called The Butcher Grill but they were booked full. The pictures on Yelp looked amazing though and it had some pretty rave reviews. Since this place turned out to be just a 5 minute ride from the Intercontinental I made a reservation for our last night to eat here. It was tough passing up steak on the menu at all theoe other places but I didn’t want to ruin this final dinner with inferior meat. They actually had a special the night we were there so we saved a few Euros on their specialty cut: The Cote de Boeuf. It’s a rib steak and although we ordered it medium, it should definitely be ordered at medium to medium rare. For some reason, I thought my wife disliked medium rare but after the meal, she said she would have been fine with medium rare. Doh! Oh well, next time, either way, it still tasted great. They also served the steak with these really hearty and tasty onion rings – ask for extra if they’ll allow it J We ordered a couple cocktails and while the presentation and show the bartender put on making the cocktails was awesome, the meat definitely would have paired better with some red wine. All in all, this was a great final meal for our trip and we left feeling very full and satisfied. On our final day in Dublin, we basically just woke up and headed to the airport. Unfortunately we had to fly economy but we did finally get a chance to use our Global Entry Cards to clear customs in Dublin. Dublin uses a strange process where you actually have to go through a special additional screening process before going to your gate (if you’re headed back to the US) and you clear customs in Dublin as opposed to in the US. Either way, there was about a 15-20 minute line and we got to bypass it with Global Entry (we got free GE from the Ritz Carlton card I signed up for last year – it gives $300 airline/GE credit per calendar year). You may want to allot some extra time for this. The flight ended up being pretty smooth and it was also pretty empty which was nice. I managed to write a couple articles, watch a movie or two and then we were back in Boston. The Butcher Grill (Dublin) – Amazing steak, must order the Cote de Bouef. The Boxty House (Dublin)– Mussel and Salmon Gnocchi, enough said. 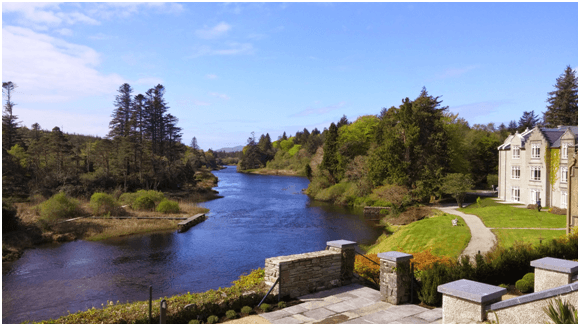 ArdBia at Nimmos (Galway) – Amazing breakfast place with a very cute interior and overlooking the river. 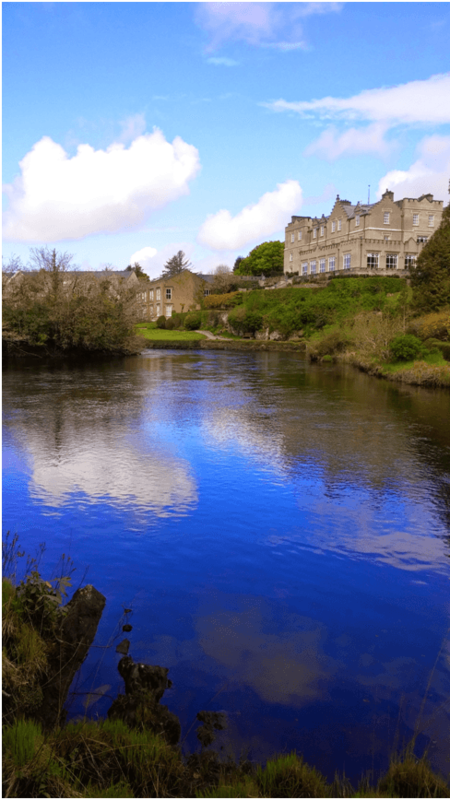 Ballynahinch Castle Pub (Pub>>Restaurant) – Great alternative to the fine dining fixed course option. Same food, cheaper prices. Quay St. 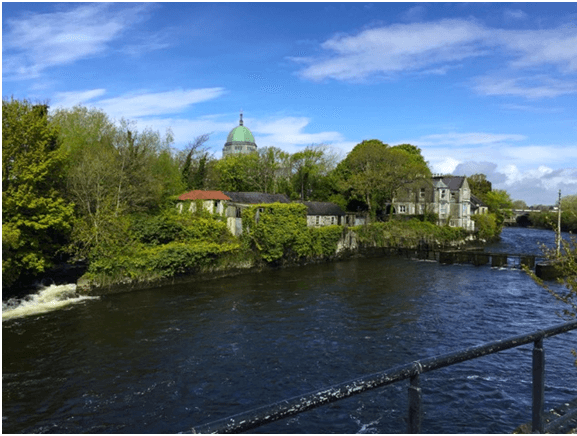 Kitchen (Galway) – Cozy, hip and cool place with wide selection of classic Irish food but better tasting.